I’m really excited about this page— I’ve been itching to start drawing the mer-folk, but it wasn’t time yet — and now it is! And wouldn’t you know it, it’s a couple of teenage delinquents on remedial duty. Find out more about who they are and why they are following the ship in the next few pages. 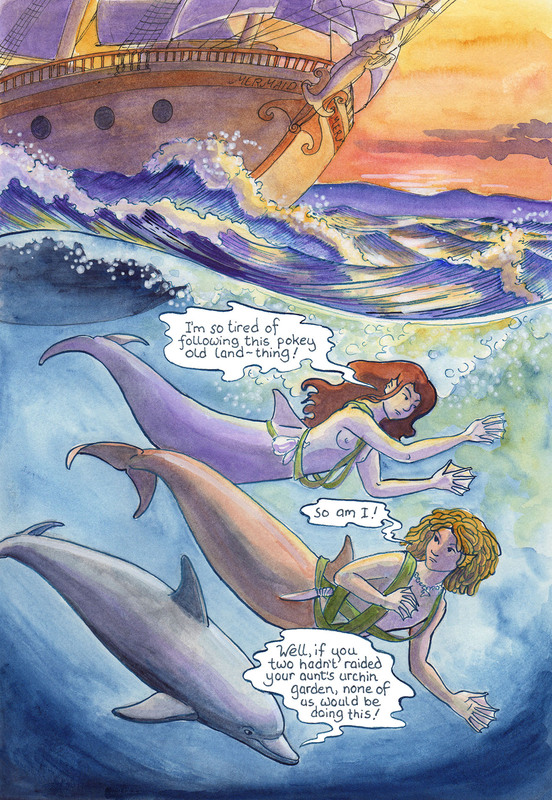 This comic was posted in Mermaid Music and tagged comic, dolphin, graphic novel, mermaid, mermaid comic, merman, ocean, sea comic, ship, sunset, watercolour, webcomic.